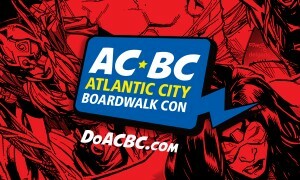 Don’t miss the Atlantic City Boardwalk Con on MAY 13-15, 2016 in Atlantic City, NJ! It’s back for year #2 and we’ve got all the details, plus your chance to WIN A TWO 3-DAY CON PASSES! Are you ready Las Vegas? The Amazing Las Vegas Comic Convention is coming back to the South Point Hotel & Casino on June 19 – 21, 2015. Do you have your tickets yet? 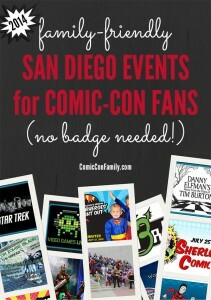 Going to San Diego Comic-Con? 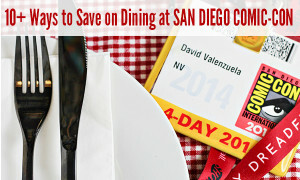 To help you save money on eating out, we’re sharing over 10 ways to save on dining at San Diego Comic-Con. Comic Con is quickly approaching and you might be in a panic over how to cover the expense of your trip. 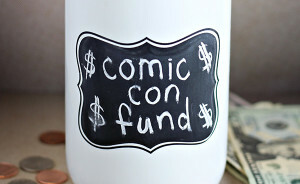 To help out, we’re sharing some tips for How To Save Money Fast For Comic Con this year. 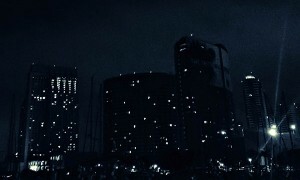 Thinking of camping out so you can get a seat in your favorite Hall H panels at San Diego Comic-Con? We’re sharing our 5 must-haves for Comic-Con Hall H camping so you’ll be prepared.